First off, as of today the Red Sox are in first place in the AL East. The Red Sox are 10 games above .500 in the standings. The Red Sox are showing historical power at the plate with several hitters going on 20+ game hitting streaks, seven starting players with a +.280 AVG and ranked number one in all of MLB. Let's take a step back and try to understand why Red Sox Nation is feeling a bit queasy about these 2016 Red Sox. It is not watching the team score just under six runs a game, but the fact that the rotation is only firing on one cylinder since Opening Day. A nice side note, the Red Sox rotation has three complete games pitched, which ties them for second in that category but they are all owned by Steven Wright. Yes, Wright, the knuckleballer and lowest paid member in the rotation, but I will get back to him in a bit as there is more to talk about. Is seems that there is something not going right, yet the pitching coaches are unable to sort it out. Carl Willis, the new Red Sox pitching whisperer this season, has all of the most advanced metrics and analytics at his disposal, yet is only making the starting rotation worse. Let's take a look at the rotation as it was designed to work from Opening Day. Price is a pitcher that is used to being in Cy Young contention, having won or ranked in the voting four of the nine years he has pitched, is having his worst season so far. His ERA is his worst showing ever at 4.88 and he is on pace to give up the most earned runs in his career so far with 41 ERs in just the first two months. His walk totals are also alarmingly high for his standard, currently at 22 but in danger of reaching his career high of 79 free passes. Price has pitched well in the AL East before and also against the Red Sox both home and away. After signing a seven year deal with the Red Sox, he will be around for a long time, what has the pitching coach done to change the potential that is inside Price? Buchholz is a complete mess this year, just a shadow of his former self. He is sporting a 6.34 ERA and everyone has seen him sitting in the bullpen, something that you never would have imagined in your lifetime. His walk rate is up, can't locate pitches, strikeouts are down and his confidence is shot. Over his entire career Buchholz has had flashed of brilliance and flashes of whatever it is you call this along with injury troubles. Whatever Willis whispered into his ear, it has had zero effect on helping Buchholz find his good side. You might chalk this up to just Buchholz being Buchholz, but previous years the coaching staff has gotten him sorted out. Also, Buchholz is owed a little over $7 million for 2016 and the final year buyout is just $500K. It would seem to be a major failure on the part of a coaching staff to lose a starting pitcher out to the bullpen as a last ditch measure to not DFAing him. Kelly was going to break out this year after last year having issues with command. His 8.46 ERA this year, over just six games due to injuries, has left little to cheer for in the way of a turn around. Kelly has almost walked a batter an inning, a cardinal sin in pitching when you are putting a man on base for free so often. The only good news here is that Kelly can be optioned to Triple-A and his is right now. 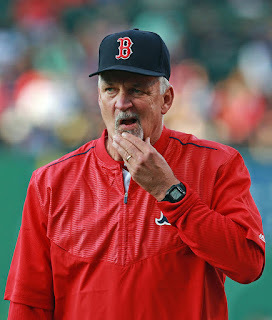 That makes it the problem of the Triple-A coaching staff and not such a ding to Willis staff as the Red Sox have not been able to sort Kelly out at all. Porcello has been exactly what he is projected to be, with a 4.00 ERA his is in line with his normal range over the last seven seasons. His walk rate, strikeouts and run prevention seem to be on track to his normal yearly averages. Do we chalk this one up to the pitching staff as not having a good or bad effect on, you make the call? In the beginning of the season Rodriguez was to be the fifth starter, but hurt his knee and in stepped Wright. While Rodriguez is just back into the rotation, there are concerns about his velocity being down. Wright seems to have figured out how to control the pitch this year and is sporting a team leading ERA of 2.29. Wright is on track to strikeout more hitters than his previous 3 years combined, has more than two strikeouts to every walk and owns all three of the Red Sox complete games. Wright has been the ace of the staff without question, but he talks to Tim Wakefield, not Willis. One can argue that Wakefield is on the coaching staff, but he is really just out there bringing his knuckleball experience. Give credit to Wright for working hard over the last years, maturing into the pitcher he can be with the expert help and advice of Wakefield. If Juan Nieves, the prior pitching coach that led the rotation to a World Series, posted team ERA's of 3.79 (2013), 4.01 (2014) before being fired in May 2015 when the team's ERA hit 5.54 in May. Let's face it, no matter how many runs you score in the regular season, you will run into much better rotations in the postseason. The Red Sox might some how hold on to a ticket into the postseason, but can they beat rotations like the Mets, Cubs or Giants? How far will this rotation need to dip before the pitch forks come out and it costs Willis his job?